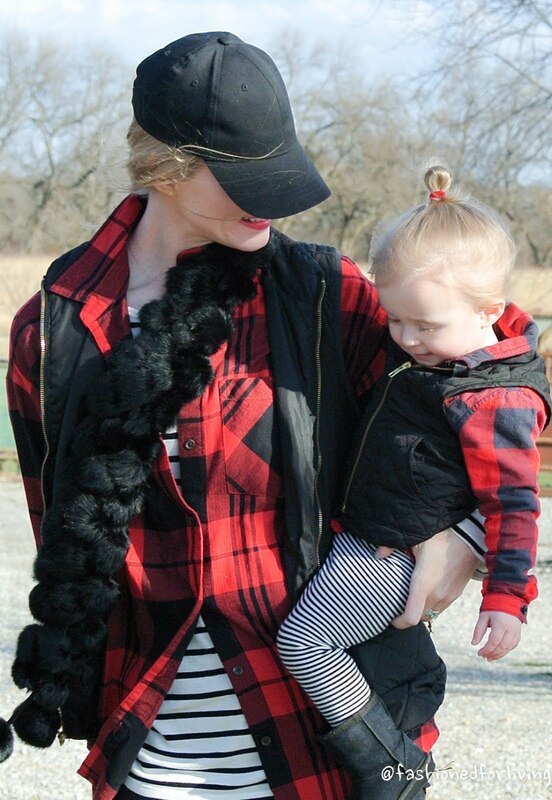 Fashioned For Living: Mother Daughter Matching Outfits: Black Vest, Red Flannel and Stripes. 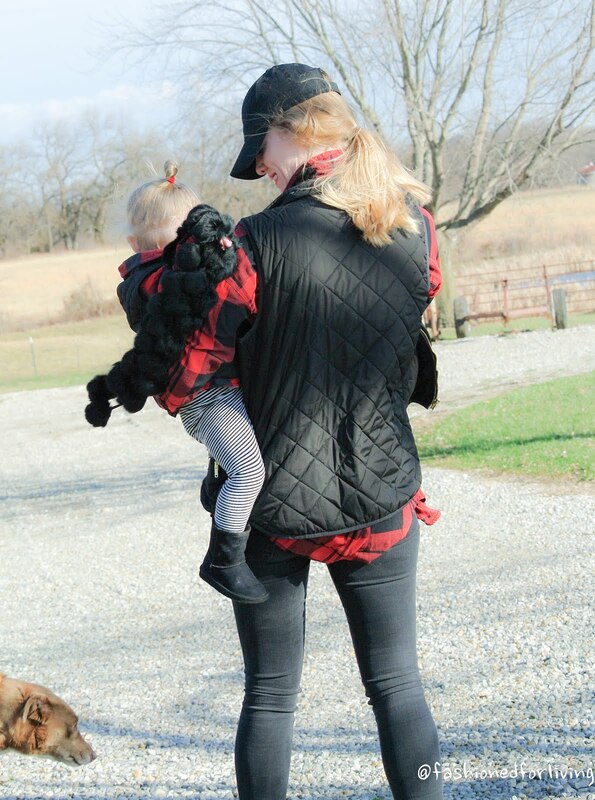 Mother Daughter Matching Outfits: Black Vest, Red Flannel and Stripes. 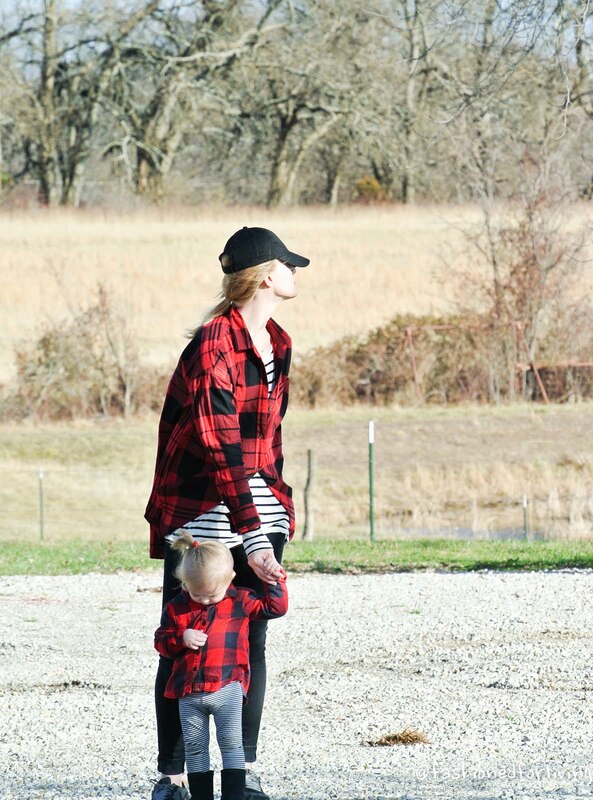 I threw our outfits on early this morning to run to the grocery store ...I really wanted to avoid the pre-holiday craziness. 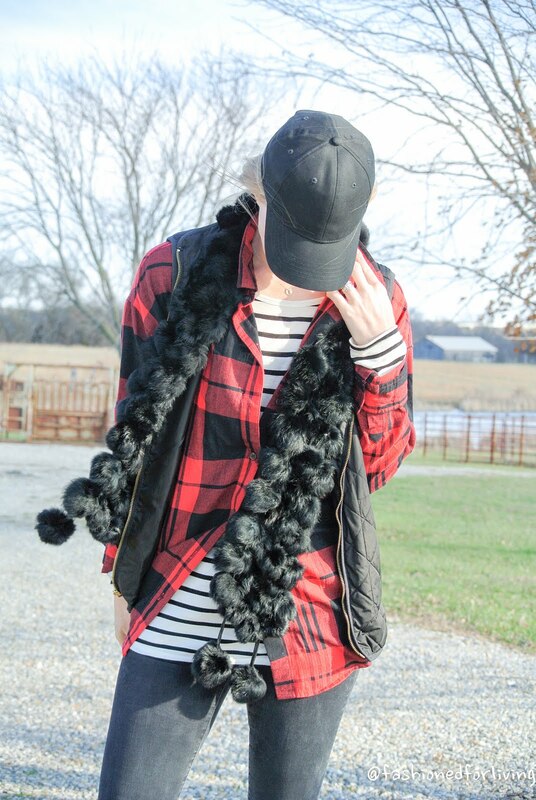 A couple weeks ago, The Miller Affect paired a striped turtleneck with a red plaid shirt. I loved it and thus inspired our looks. 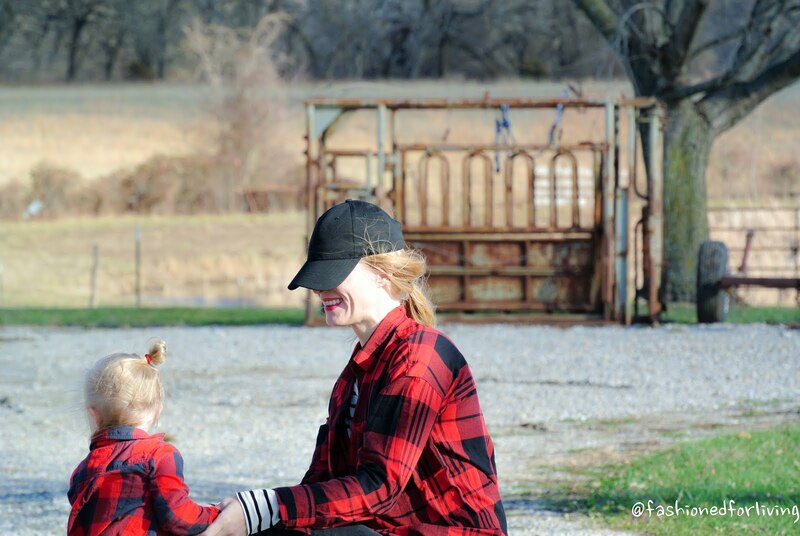 Striped T-Shirt and Vest - Old Navy. Old. 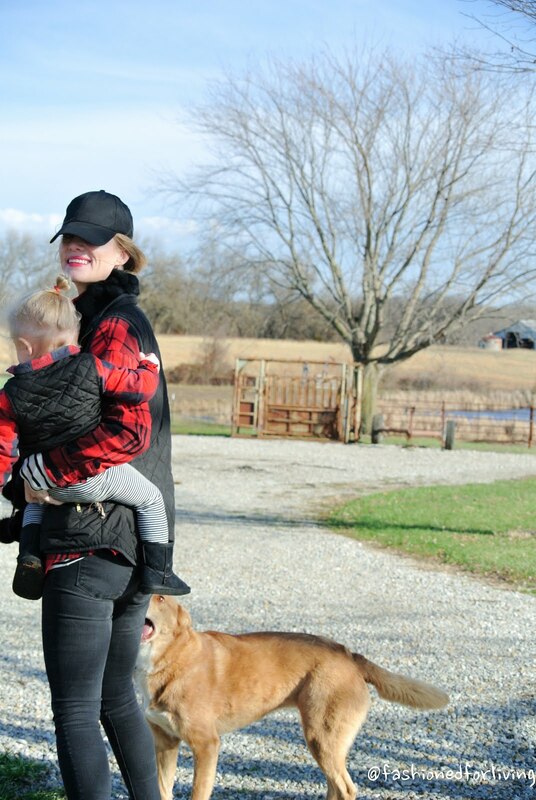 Fur Scarf - Mine is old and faux fur. This one looks exactly the same, but just noticed it says its real. I will try to find another alternative. 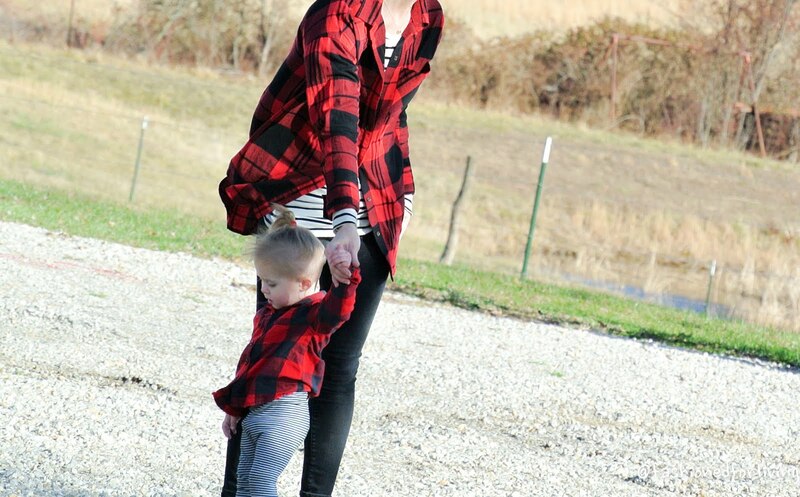 Red Flannel - Old Navy. I recommend ordering a couple sizes bigger! It runs pretty small. Vest - Old Navy. No longer available. This is a cute alternative. Boots - Wal-Mart. I think they were around $8. It has been so windy the last couple of weeks. My hat blew off too many times to count. Our fresh gravel is as close as we are going to get to a white Christmas!